Welcome to Two-Minute Tuesday, where I share quick tips, tidbits, and ideas. This Sunday is Mother's Day...eek, that's only 5 days away! On top of that, this week is also Teacher Appreciation Week! Have you found the perfect gifts yet? 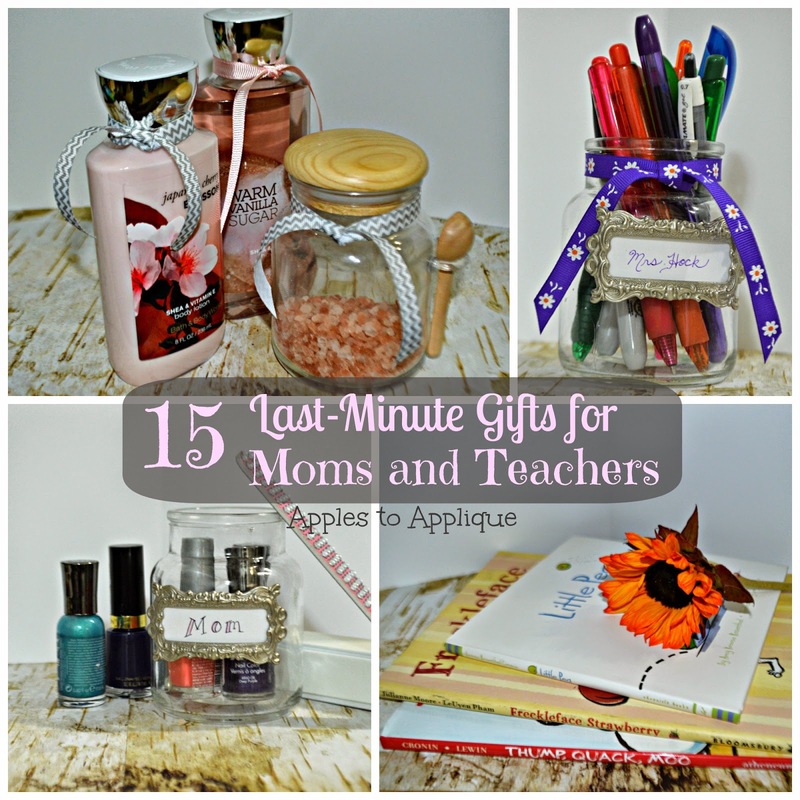 If you're a procrastinator like a lot of us, you may still be needing a gift for the special mom or teacher in your life. Well you're in luck, because today I have some quick and easy ideas for you that moms and teachers are sure to love. You don't have to be crafty to put together these DIY gifts. They won't take you long at all to assemble, but they're still thoughtful and show you care. Moms and teachers deserve that, right? 2. 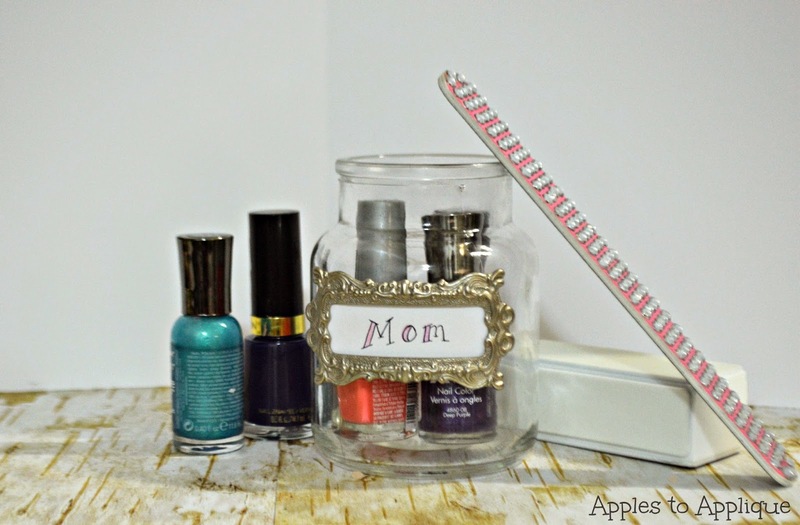 A few jars of nail polish and a pretty nail file can make a fun and easy gift. Go the extra mile and throw in an orange stick and some cuticle oil so she can have an at-home mani-pedi. 3. 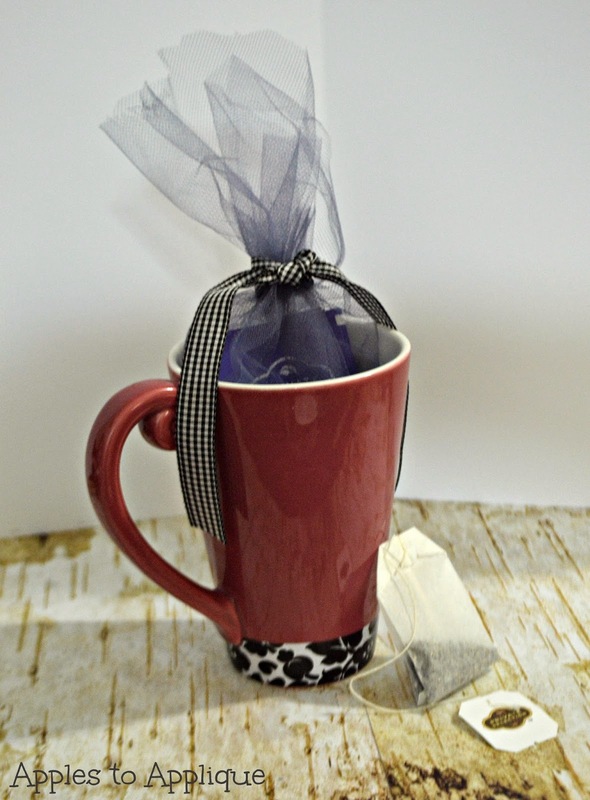 A pretty new mug with some packets of her preferred hot beverage--her favorite tea, coffee, or hot chocolate. Better yet, write a thoughtful note on the mug using Sharpie Oil-Based Paint Markers and baking at 350° for 30 minutes. (Be sure not to use regular Sharpies if you want it to be permanent). 4. Frame a picture of Mom and her kids/grandkids. Or, follow this easy tutorial to use Mod Podge to attach a print to a canvas. Simple and heartfelt. 5. A subscription to Kiwi Crate would be a unique idea for the mom with young kids or grandkids. Aren't familiar with Kiwi Crate? It's an award-winning monthly subscription service that provides all the hands-on materials to inspire creative, educational fun. Each crate has a fun theme like music, color, robots, or safari, and delivers everything needed for unique activities that Mom and kids can enjoy together. See sample crates here. Even better: now through May 12th save 40% off your new Kiwi Crate subscription with the code HEARTMOM! Does the mom in your life have a special hobby? Get her something to go with it. 7. Pretty yarn for the knitting/crocheting mom. 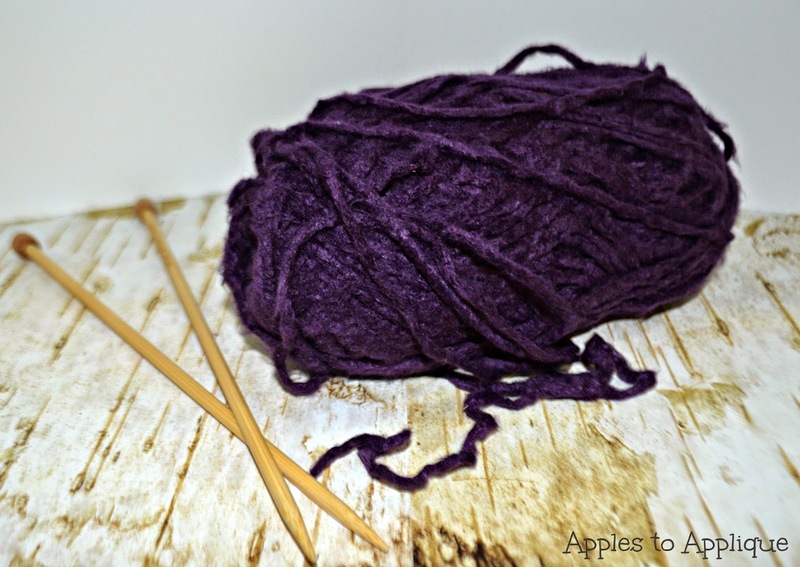 Trust me, any mom who knits or crochets can't resist some luscious new yarn! 10. A Craftsy class for the mom who wants to be crafty, or just wants to improve or learn a new skill. I have taken a couple of these classes and they are excellent. I can't recommend them enough. With the purchase of the course, you get unlimited access to the videos, so Mom could go back and revisit them 3 years from now if she needed a refresher after the course. 11. New colored pens! Teachers love colored pens, and they are always getting lost or running out of ink. 13. Chocolate. This may seem over-done, but it's not. Every teacher I know has a chocolate stash in their classroom to get them through those rough days. 14. New books for the classroom. When I get a new story book to share with my students, it's like Christmas to me. 15. A gift card to a teacher supply store. Yeah, I know it's not original, but trust me, these are much used and appreciated! Whatever you decide to get the moms and teachers in your life, just make sure it is from the heart and they will love it. Leave a comment and tell me a special memory about your mom or favorite teacher! 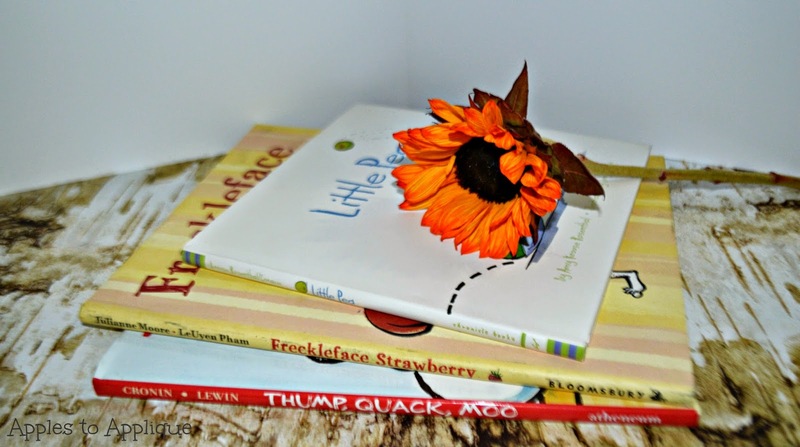 Linking up with the Wednesday Roundup. Glad you reminded me! School is coming to a close and we usually buy gift cards to the local ice cream shop for them! Ooh, what a great idea! Ice cream is one of my favorite things ever, and would be a welcome end-of-school treat. Great gift ideas, the home made presentation really puts that special "not so last minute" touch on them! Thanks, Paula; I agree. Things can be done last-minute and still be thoughtful. Great ideas. A lot of times it doesn't have to be much but taking the time to really recognize the person for what they do or who they are in your life makes all the difference in the world. Definitely! People just like to be appreciated. 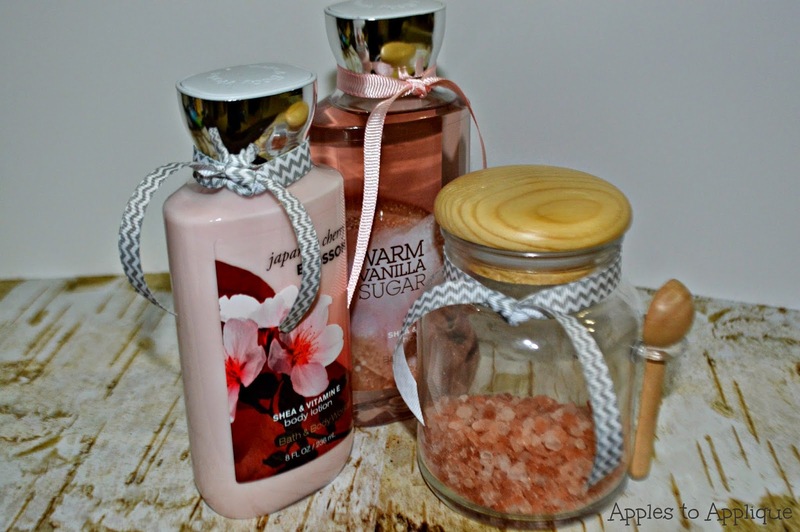 Those are great ideas.. My wife usually get the teachers soaps or lotions..
Soaps and lotions make a nice little gift! I know I always like them, anyway. Great ideas!! I love the bath salts. I usually get my kids teachers gift cards, they always seem to like that. Teachers can always use gift cards! There are so many things we end up paying for ourselves that anything to ease that burden is greatly appreciated. I love these ideas. We are getting Hayley's teacher a gift card to her favorite local restaurant, some cute napkins that say "You can't scare me I'm a teacher", some flowers and I think I'll add some colored pens for fun. What a thoughtful gift. I love the saying on the napkins, that's hilarious! What cute ideas! I love when there is more thought put into a gift, then just going out and buying something. Something made a recycled is an awesome way to go! I agree, when there is obvious thought behind the gift it conveys more appreciation than purchasing a random trinket. I love these ideas. They are so unique and fun. I will be sharing this! Thanks! Thank you, Megan. I appreciate it! 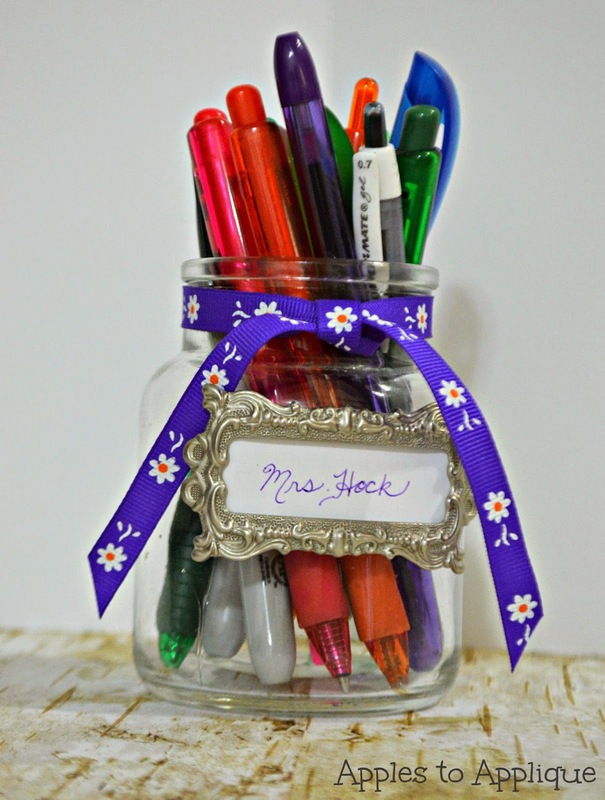 This week is teacher appreciation week at my daughter's school so these ideas will definitely come in handy! Thanks so much! You're welcome; I'm glad you found them helpful! Great ideas! I forgot about teacher appreciation week !